He was the greatest coach of all time and a mentor to many. 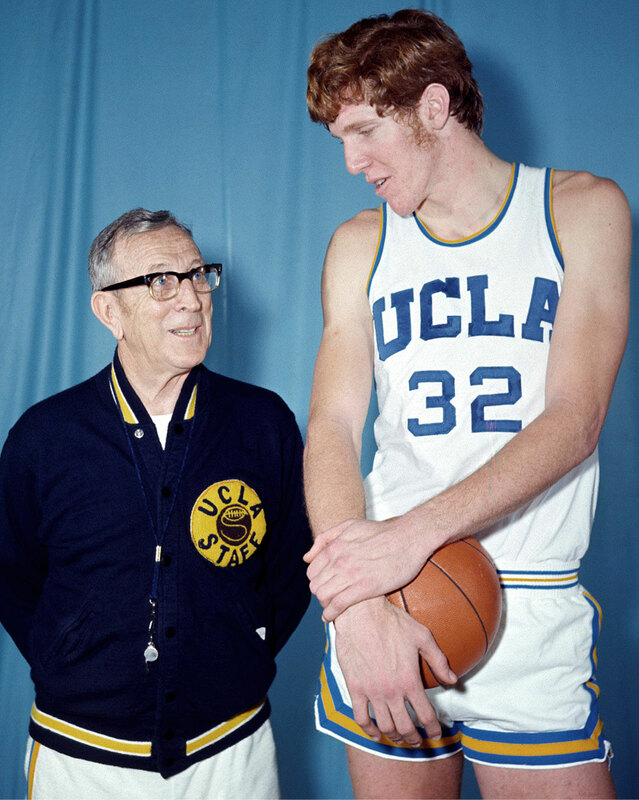 At the University of California-Los Angeles, John Wooden won a record 10 NCAA men’s basketball championships, but he considered his legacy to be as a teacher. 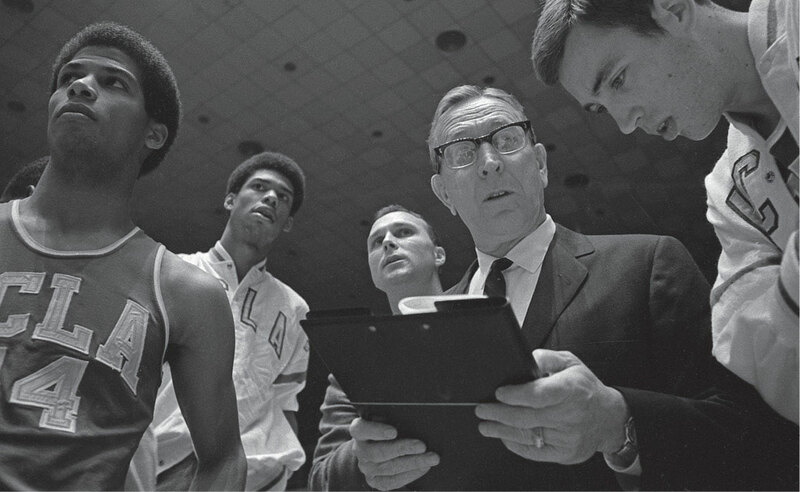 Although Wooden’s last on-court victory was secured more than 40 years ago and he passed away in 2010, his lessons are as relevant today as ever. Coach, as he was simply known to all, believed that real success is defined not by wins and losses, but by the daily development of yourself and giving your best in all you do. Simple as those principles might seem, truly delivering on them requires effort most won’t give. Those who do – and those who did while playing for him – become world-class. In partnership with the Wooden family, SUCCESS has built an online learning course designed to help you put the legend’s lessons into action. The Wooden Effect, as we call it, is the well-worn method studied and engineered by Wooden that will allow anyone to reach their full potential and competitive greatness. 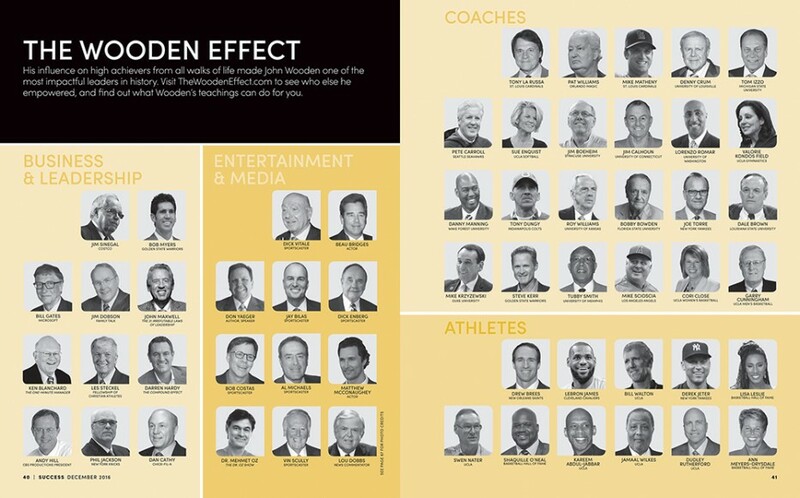 To create the course, we enlisted the help of some of the very greats who called Coach their mentor. As a look inside the wisdom offered, we reached into several of those interviews to tell Wooden’s story. Considering all that he accomplished and his eventual status as a national treasure, the contrast with Wooden’s upbringing becomes even more dramatic. Wooden was born in the rural town of Hall, Indiana, on Oct. 14, 1910, one of six children to Joshua and Roxie Anna Wooden. Wooden graduated with a degree in English from Purdue University in 1932, having enjoyed a highly successful career as a college basketball player. Afterward, he began to play professional ball while also coaching and teaching high school in Kentucky and Indiana. Throughout his life, the deeply personal faith Wooden cultivated in his childhood colored everything else. His notions of sportsmanship, fair play, integrity, and character were all rooted in the religious upbringing his parents instilled in him early, and they spilled over not only to his players but to the people around him. Wooden was 21 when he married his high school sweetheart, Nellie Riley, in 1932. 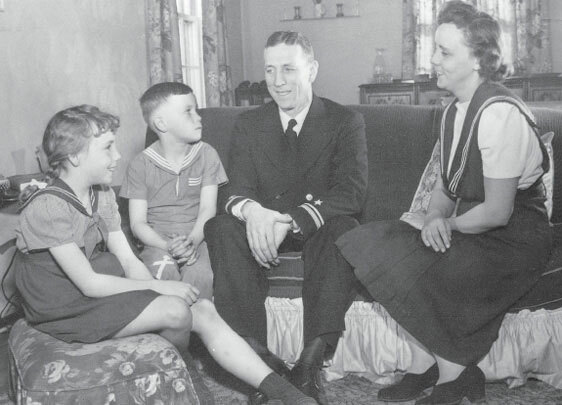 The couple had two children, Nancy and James, and Wooden continued coaching high school until joining the Navy in 1943. He served as a physical trainer for combat pilots for the better part of World War II and left with the rank of senior lieutenant. When his duties concluded, he took over as the coach of Indiana State Teachers College (now Indiana State), juggling other duties within the school’s athletic department while working toward his master’s degree in education. After guiding the school to a conference title in 1947, he turned down a national tournament invitation because the tournament did not allow black players. 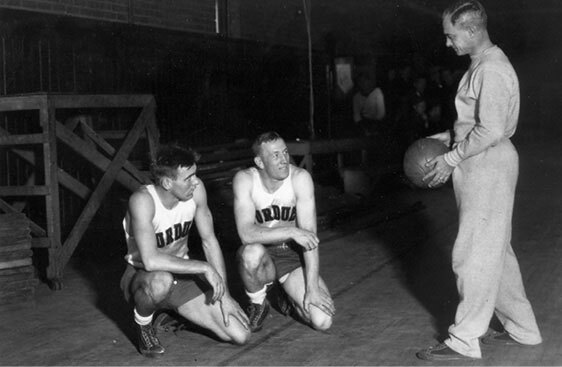 In 1948, Wooden was offered the head coaching position at UCLA. He soon began putting in place the foundations of a program that, when running at scale, would become the greatest dynasty in sports history. All the while, he continued to formulate the building blocks of success and character. It took 16 years for Wooden to create the kind of team he had envisioned, winning his first national championship in 1964. Over the following 11 years, he would win nine more championships. Despite his incredible record, he remained humble. He insisted that his teams’ victories were due not to any great secret or brilliance on his part, but to a combination of two things. First, the teams memorized and embodied his definition of success as “peace of mind, which is a direct result of self-satisfaction in knowing you made the effort to do your best to become the best that you are capable of becoming.” Second, they adhered to the fundamental principles of hard work and right living he collected in what he called the “Pyramid of Success.” These philosophies quickly became one of the most widely celebrated leadership tools in America. Maxwell was not alone. 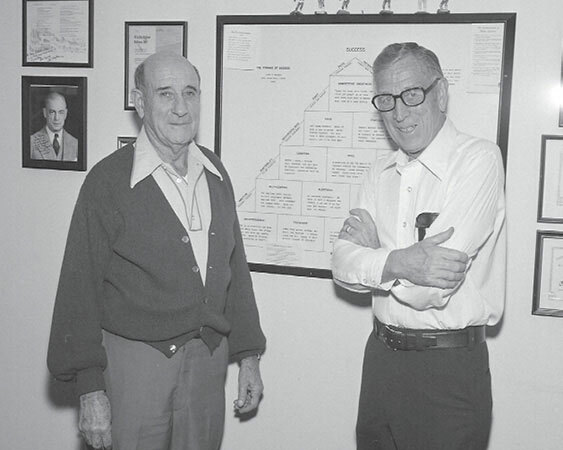 Wooden’s Pyramid of Success provided – and continues to provide – a road map for new generations of leaders in sports, business, and any walk of life. Management expert Ken Blanchard examined Wooden’s leadership techniques and found that his understanding of group dynamics was fundamental to his success. 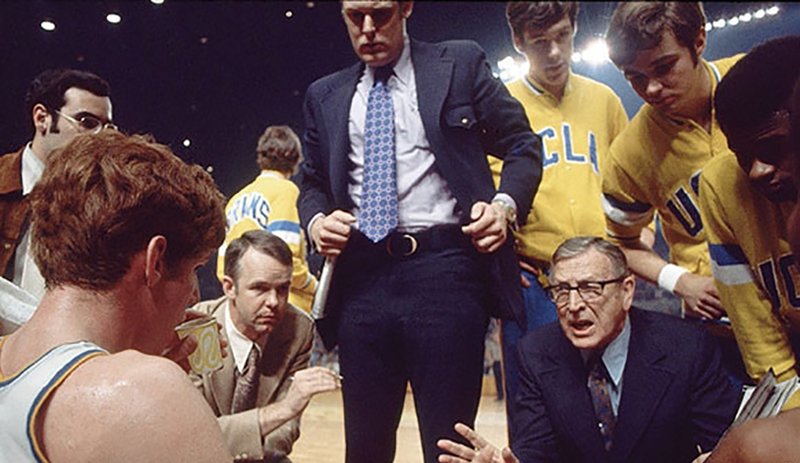 By encouraging his athletes to push one another in positive ways toward a common goal, rather than just focusing on one or two stars, Wooden was able to foster trust and chemistry among his entire roster. The result was a culture of self-motivation that continued to attract players who shared the same values. The coach was also an active mentor, advocating on behalf of people and seeking out younger coaches he felt demonstrated a commitment to building character as much as constructing winning teams. A few years later, Wooden happened to be announcing a game that Vitale was coaching and was impressed by Vitale’s enthusiasm; Wooden recommended him to a producer at a new network called ESPN as someone who might be good as an on-air commentator. Vitale has been synonymous with college basketball broadcasts ever since. Wooden’s ideas on personal growth were never limited to the basketball court, and neither were his passions. He loved great literature, art, and music. 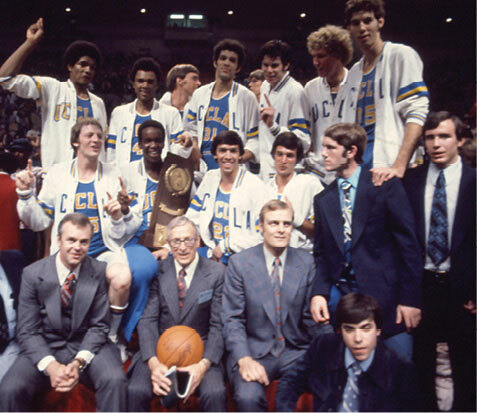 Enberg recounts something similar during a bus ride with the UCLA team, during which he spent two hours next to Wooden with no talk of basketball. Instead Wooden wanted to talk about the poetry of Edna St. Vincent Millay. “Other than going on the air in some poetic form, that trip meant nothing for my career, but it meant a great deal in terms of getting to know the man and the depth of his interest in life,” Enberg says. His taste in poetry and prose aside, the coach was a wordsmith of sorts himself. After Nellie Wooden passed away in 1985, Coach wrote a love letter to her every month for 25 years, until his eyesight started to fade. He died in 2010, only four months shy of his 100th birthday. He had made the most of every day. One of his favorite quotes was “Make each day your masterpiece.” He lived it. 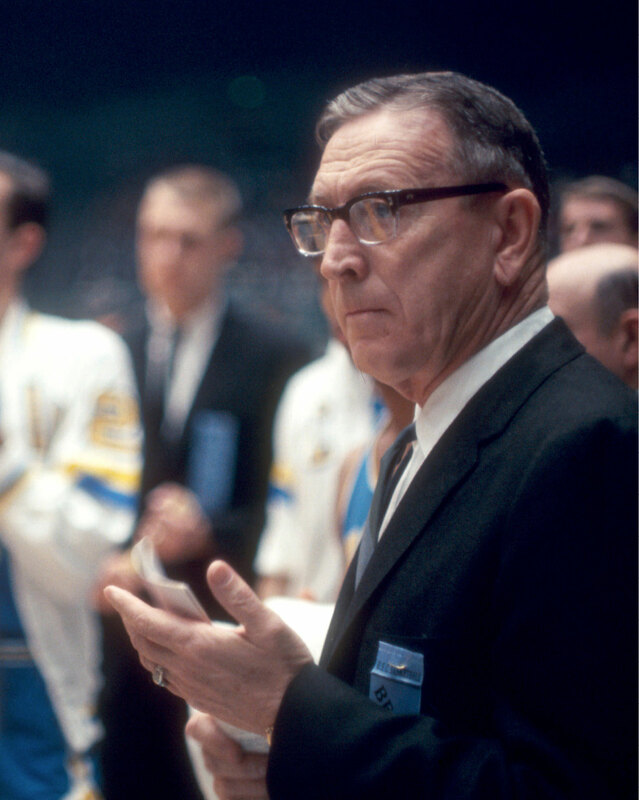 Coach may be gone, but his ideas remain relevant, significant and impactful. Today, next year, a century from now, Wooden’s teachings will still have value. Versions of this article originally appeared in the December 2016 issue of SUCCESS magazine and on SUCCESS.com. Don Yaeger is an nine-time New York Times best-selling author, longtime associate editor to Sports Illustrated, and keynote speaker. Learn more at www.donyaeger.com. Cover photo courtesy of the UCLA film archive.